Organic Kombucha is a high end version of a live health drink. The brewer places a special culture into sweetened tea which commences the fermentation. A finished product can taste like champagne, sparkling apple cider and even like vinegar. It all depends on the process and the type of tea used. Home brewed or unrefined versions often contain a large amount of sediment. 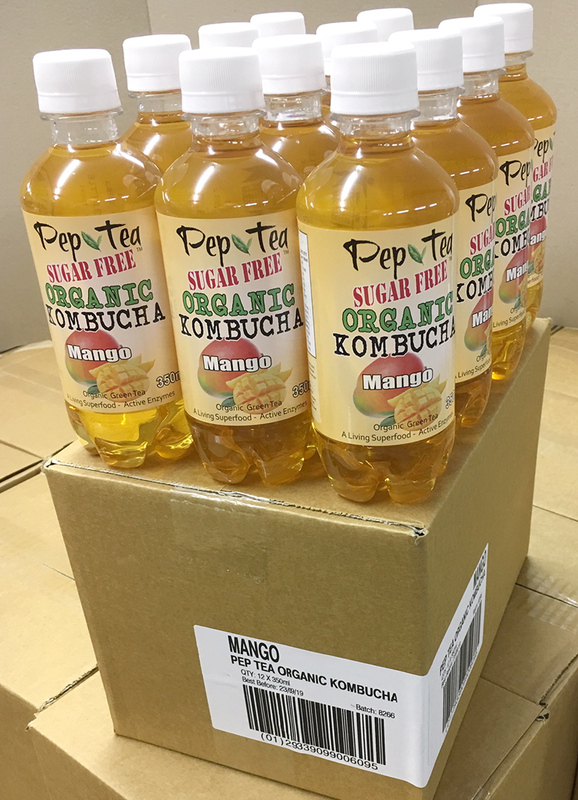 For high end brands like Pep Tea all of the sugar is converted in the process and the finished product is consistent and tests Sugar Free. 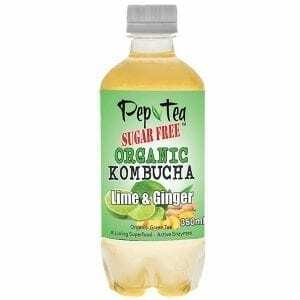 Pep Tea Brand Kombucha has been featured on ABC’s Landline documentary questioning the proliferation of cowboy kumbucha’s out there. Kombucha drinking has originated in ancient China. The Chinese have been drinking it for at least two thousand years. In 221 BC, during the Tsin Dynasty of ancient China, historians have discovered the oldest documented use. The brew was then called “The Tea of Immortality”. Versions of the brew under different names flourished throughout Asia and later Europe and Russia. The name that has stuck, came from a Korean healer called Kombu. Dr Kombu treated the Chinese Emperor Ingyo (reign 411-453 AD) with this tea brew. As a result, the brew is now referred to from that physician’s name, “Kombu” and “cha” meaning tea. The culture looks like a rubbery pancake, and is called a “SKOBY”, an acronym for “Symbiotic Culture of Bacteria and Yeasts”. The brewer adds the SKOBY to the sweetened black, or green tea brew. A high quality culture converts a brew of sweet tea into one filled with vitamins, minerals, enzymes and health-giving organic acids. Fermenting tea with yeasts produces a small amount of alcohol. The bacteria in the culture however turns the alcohol to organic acids. Only a tiny quantity of alcohol, typically less than 1% by volume, remains in a well made stable brew. Food industry guidelines do not rate that low level as relevant. As the culture digests the sugar, it produces a range of organic acids. Acids such as glucuronic acid, gluconic acid, lactic acid, acetic acid, butyric acid, malic acid and usnic acid. It also produces vitamins, particularly B vitamins and vitamin C; as well as amino acids, and enzymes. And of course there are all the benefits of the probiotic microorganisms themselves. So a good culture is a biochemical powerhouse. (See health properties of Kombucha Tea). Organic Kombucha requires the use of ingredients, that are independently certified as organically grown. Additionally it requires HACCP certified premises. These criteria provide for a consistently good & reliable product that consumers can rely on to be free of pesticides. Australian health practitioners are alarmed by the levels of pesticide residues in most food products. 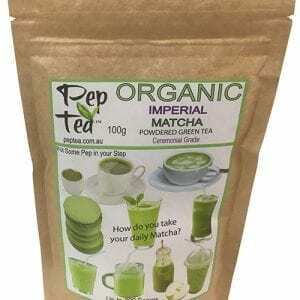 Pep Tea’s organic kombucha is a high quality product. Our artisan brews and bottles them at Tea Gardens in the beautiful Hunter Valley NSW. 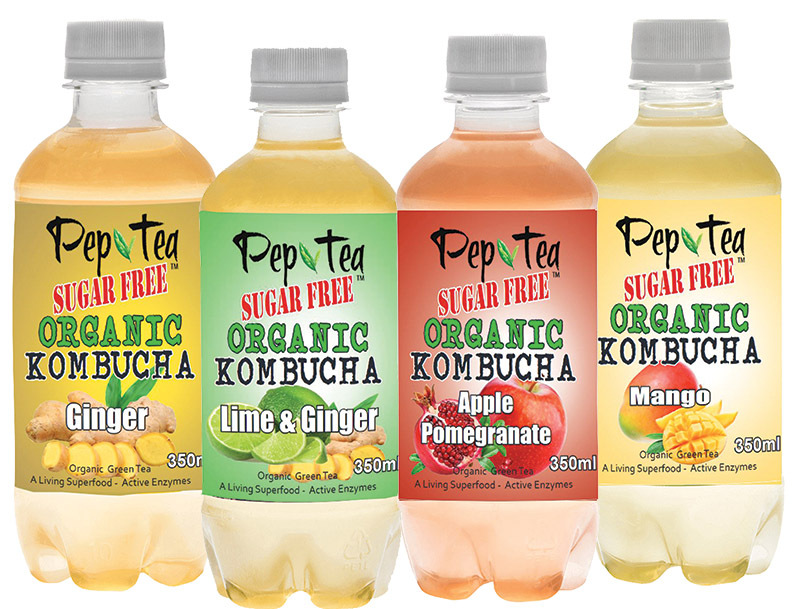 Pep Tea’s tasty organic kombucha flavours are all shelf stable products. This means you don’t need to refrigerate them until after they are opened. They are filtered after brewing and so contain very low sediment levels. 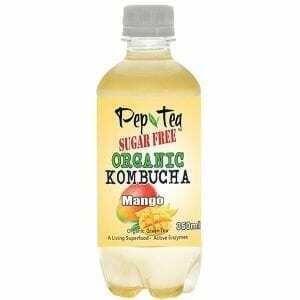 Pep Tea Organic Kombucha is FREE FROM; Sugar, Caffeine, Gluten, GMO, Lactose, Fat , and from Preservatives. Its is also LOW CALORIE, LOW CARBS , and LOW GI & Vegan Friendly…. Yahoooo! Consumers and retailers alike, can order Organic Kombucha now. 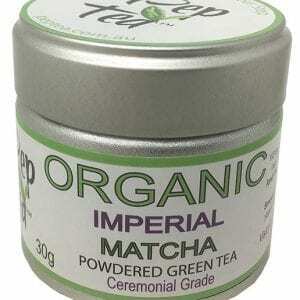 We offer next day home delivery, to most Australian locations, at our Online gourmet foods distributor Opera Foods.